The problem with real estate statistics is they try to impose a general assumption onto a localized product. For instance, the headlines today talk about slow sales and a national price decline. First he price decline is less than 1 %. If the average house price is 350k then they have declined less than 3500 bucks, which in my mind is not earth shattering. But the reality is even less than that. The numbers are taken from averages. The averages nationally are going to be driven by the largest real estate boards in the GTA, Vancouver and maybe Calgary. The average increase or decrease may not be influenced at all by smaller market activity such as Victoria KELOWNA Saskatoon etc. 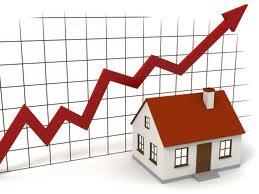 Within the average sale price decline you might see and alternative interpretation. In those big markets mentioned the average house price can decline because activity increased in a lower price range relative to overall sales, the result of which is lower prices would dag the average home price down. So what is our advice? Beware market stats which are negative for December and January, which are traditionally slow months. Ignore national sales numbers. Real estate is a local product. Remember that most of you are buying a home not an investment and that real estate is longer term game. It’s not the stock market.